Via invitation from Dumbo Arts Center, on Thursday (September 6) I presented a one-night event in support of my upcoming February exhibition at DA On the Desperate Edge of Now (historical trauma in horror film and contemporary art ) with Heather Cantrell, Folkert de Jong, Marnie Weber, and Joachim Koester. 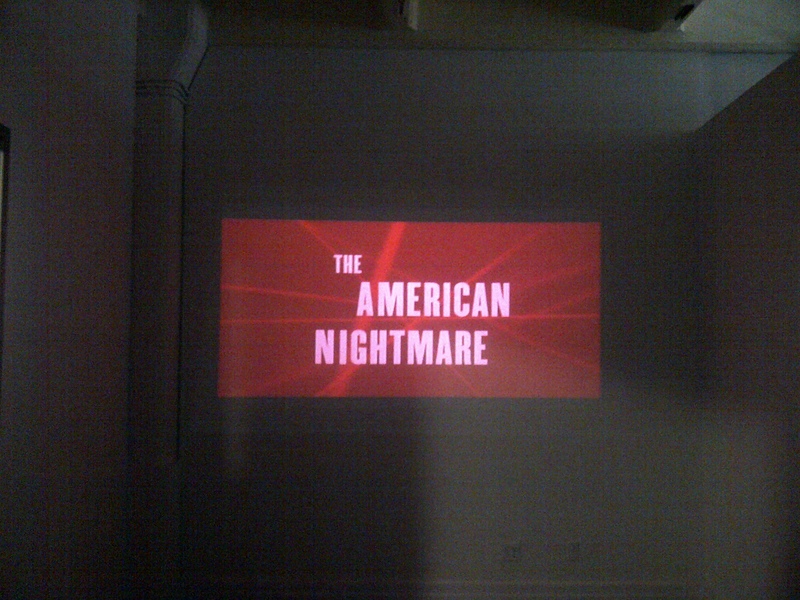 On view was a simultaneous play of three horror films – Edgar G. Ulmer’s The Black Cat (1934), Bob Clark’s Deathdream or Dead of Night (1974), and the documentary The American Nightmare (2000) – merging social, political, and cinematic history into one monstrous audio-visual experience. 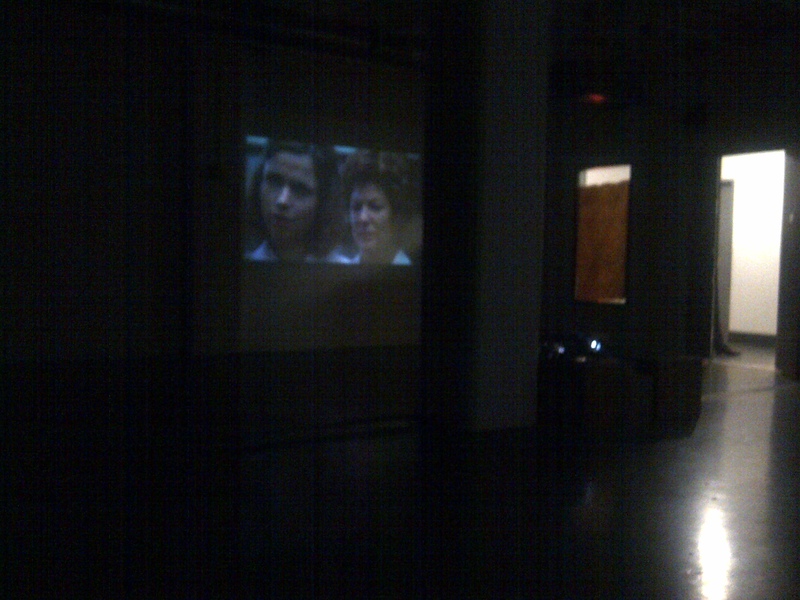 The “screening” lasted for three hours during the Dumbo Art Walk. 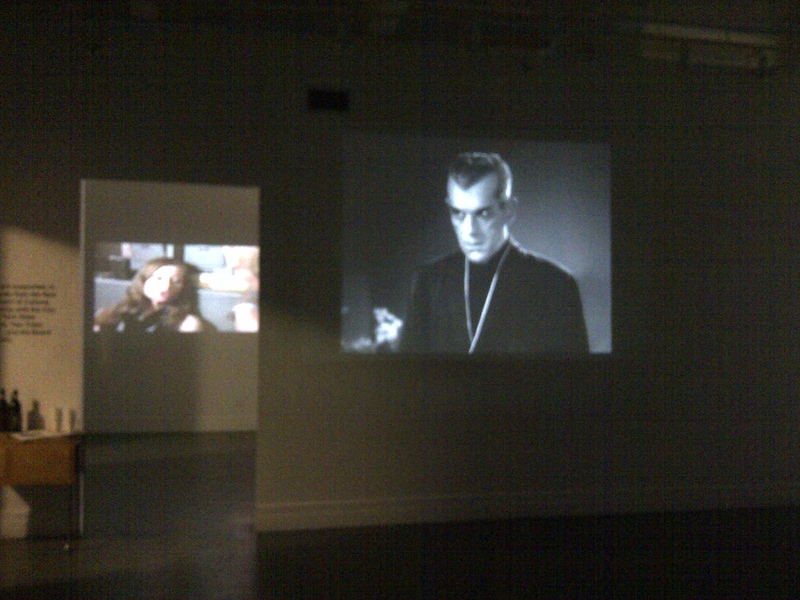 People came in, some stayed, some talked about the impact of these films culturally, others questioned if this was art to be hung on the walls of their home. But mostly, the ghosts of cinema floated on the wall, floating between the past and the future, in-and-out of sync, telling us stories from beyond the grave.